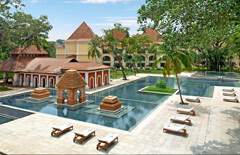 Goa has plenty of wedding venues and beach resorts to choose from. Plan your wedding at a luxurious beach resort, a scenic waterfront, a boat-cruise and event a historic fort. We have created a special website for this purpose called www.GoaWeddingVenues.com where you can get plenty of information, maps, pictures and videos on Goa's top wedding destinations. 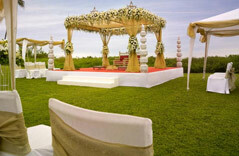 Wedding Resorts : Choose from the very best 5 Star Deluxe & Superior Deluxe Beach Resorts in Goa. 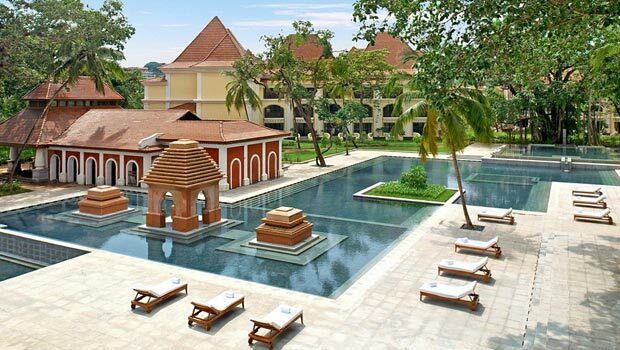 Explore some of Goa's lesser known budget resorts which are perfect for your intimate wedding in Goa. See which resort suits your wedding the best, browse through its various banqueting facilities, check its locations on Google Maps and read real reviews of each resort by Trip Advisor. Beach Venues : Take your pick from a list of standalone beach wedding venues where you could plan your romantic beach wedding ceremony or a pre-wedding cocktail dinner. Waterfront Venues : For those who love the sounds of the sea but not the sand on their feet, Goa has a number of river-side and beach-side waterfront venues where you could plan a scenic wedding in Goa. Cruise Weddings : Goa has plenty of cruising options available on private charter which can be used for a wedding or pre-wedding event in Goa. Right from the classy 15 seater yachts to the River cruises which can accommodate upto 350 guests.